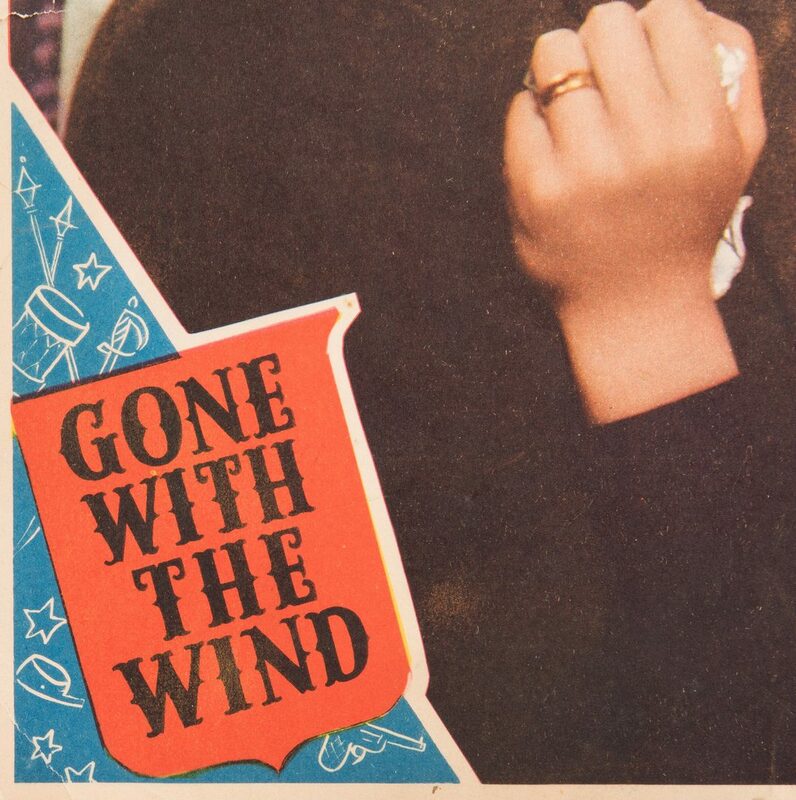 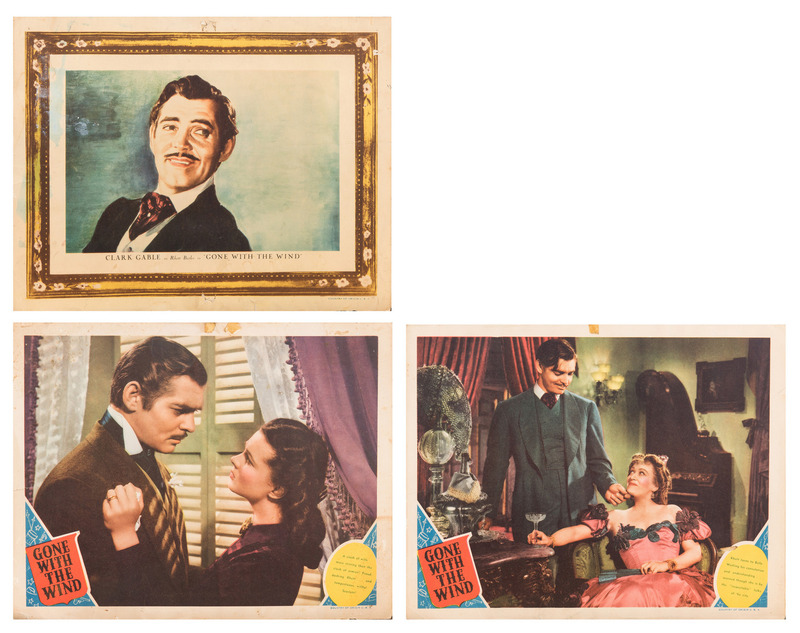 Three (3) MGM movie lobby cards for Gone With the Wind, 1939, plus later photograph, 4 items total. 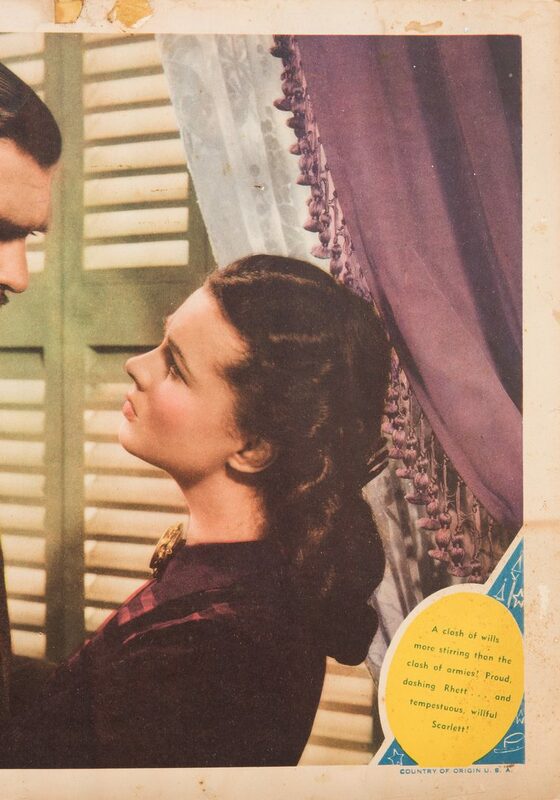 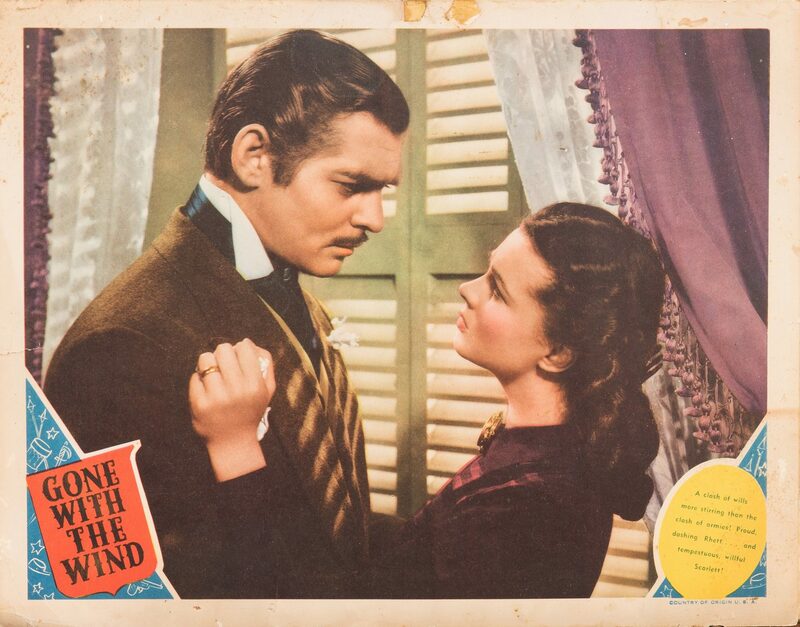 1st item: Lobby card depicting Scarlett O'Hara embracing Rhett Butler, captioned: "A clash of wills more stirring than the clash of armies! 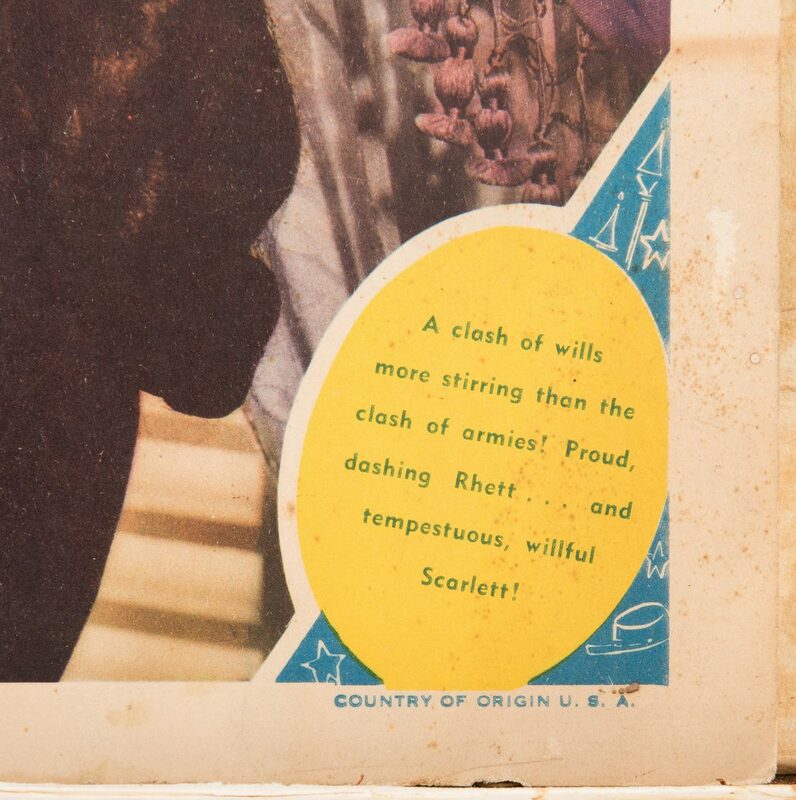 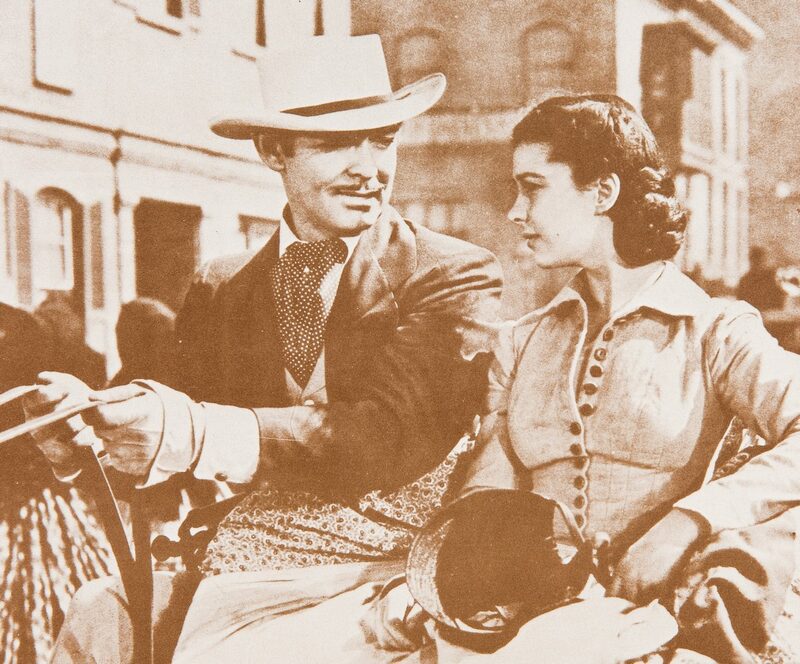 Proud, dashing Rhett and tempestuous, willful Scarlett!". 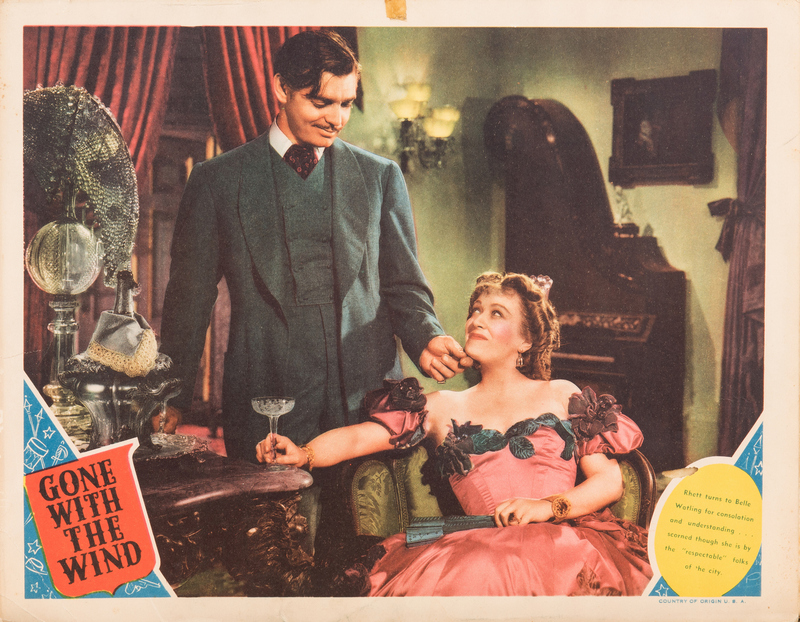 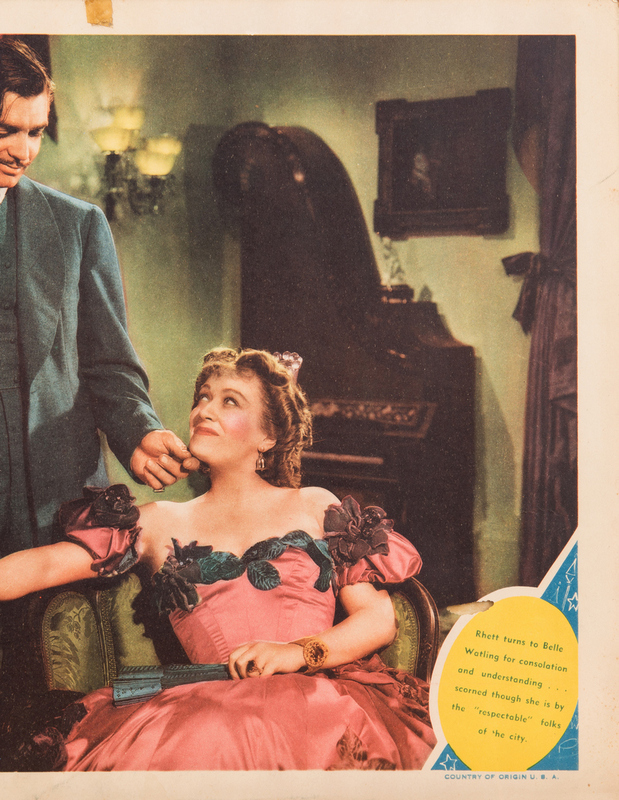 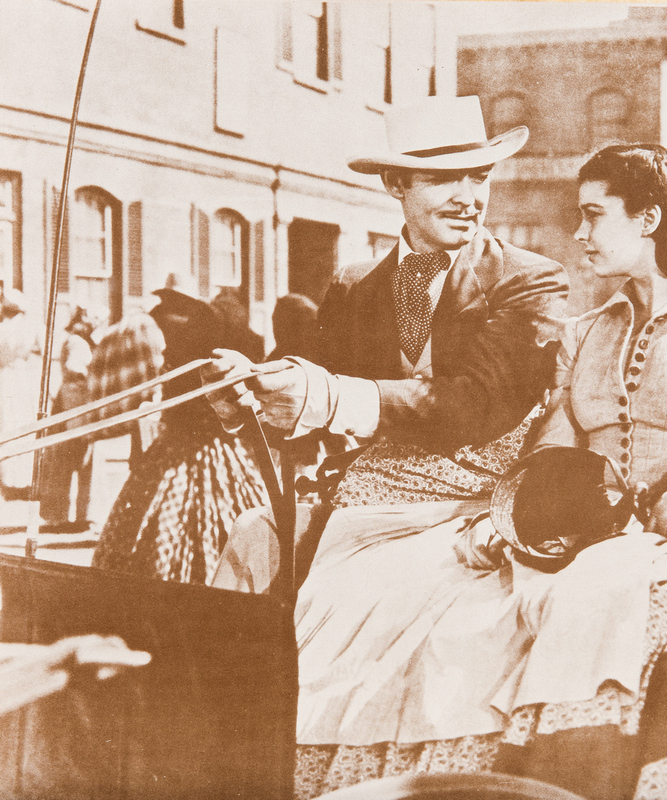 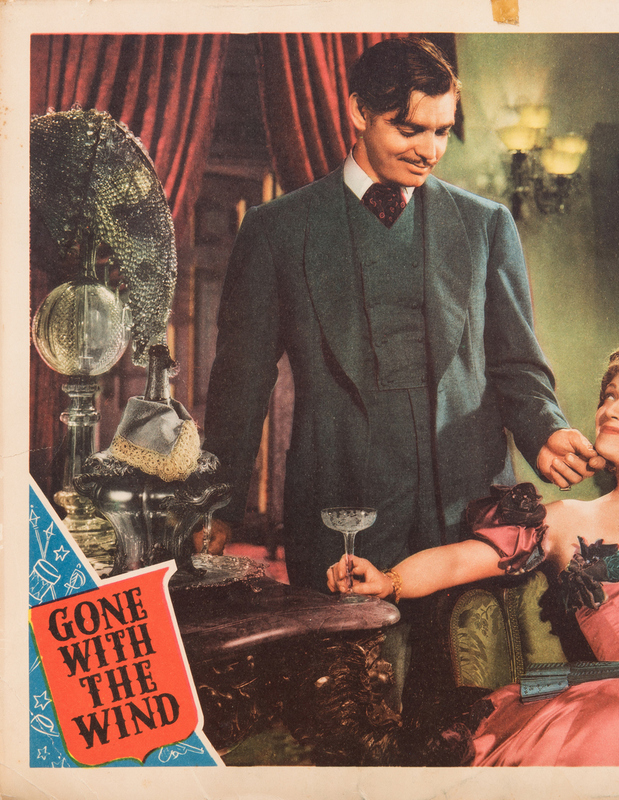 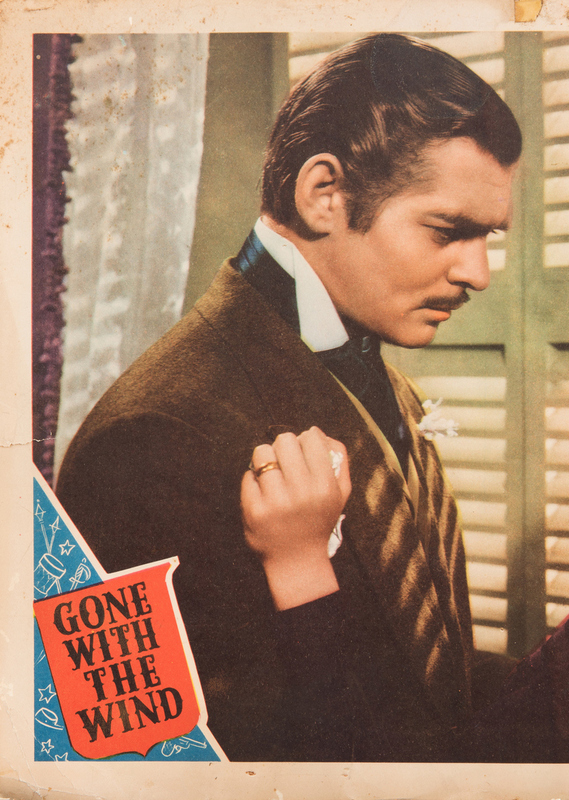 2nd item: Lobby card depicting Rhett Butler touching the chin of Belle Watling, captioned: "Rhett turns to Belle Watling for consolation and understanding… scorned though she is by the "respectable" folks of the city". 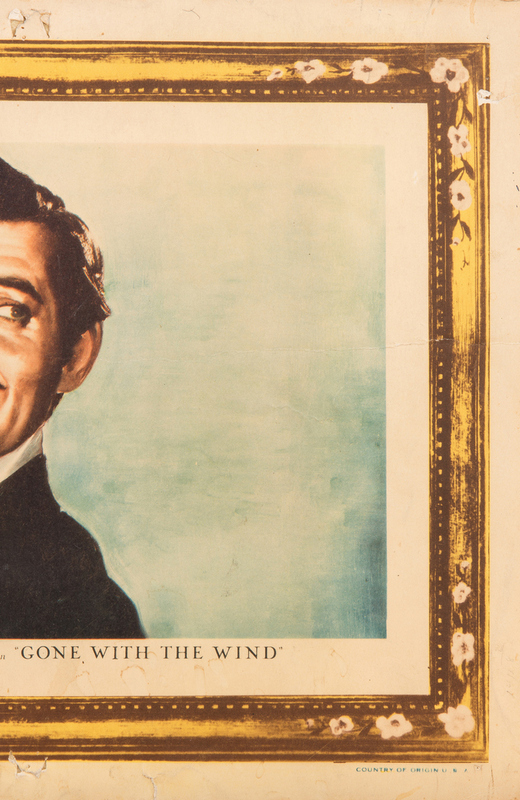 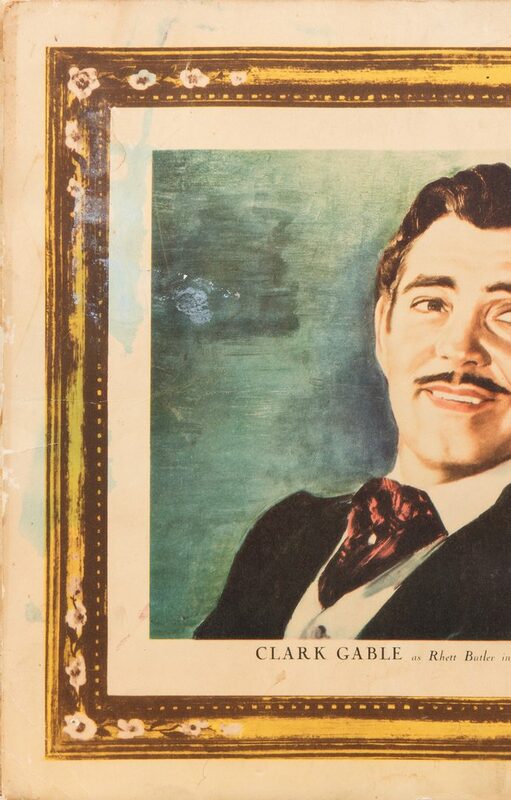 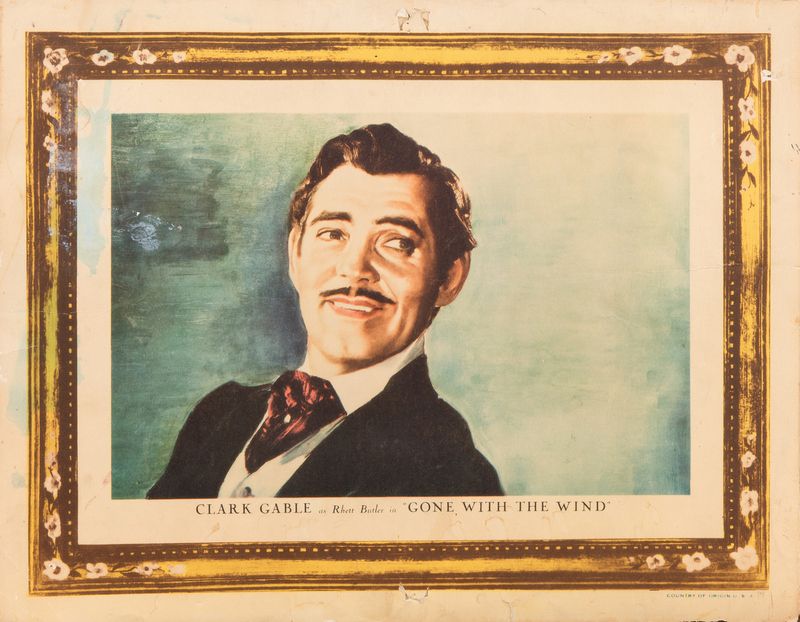 3rd item: Lobby card, "Clark Gable as Rhett Butler in GONE WITH THE WIND," from a set of 8 depicting the film's major characters. 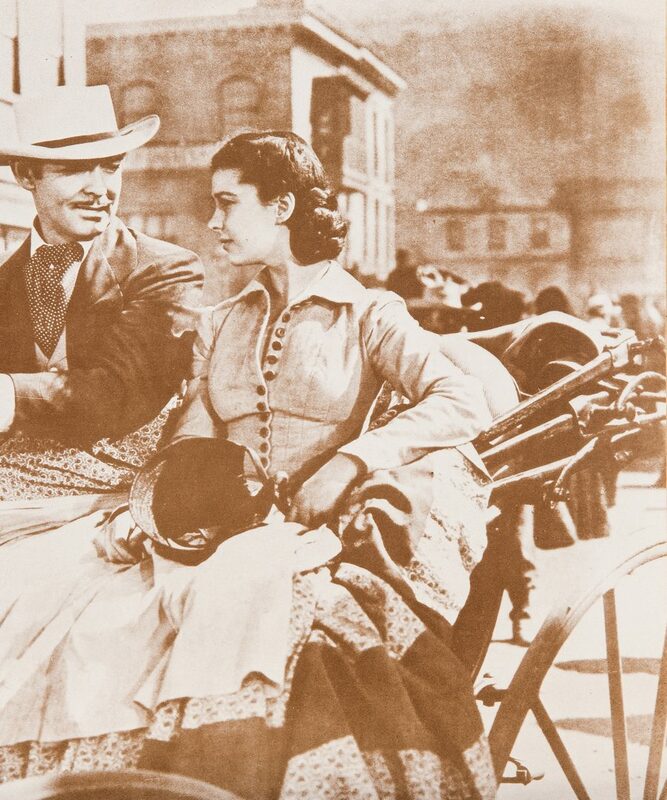 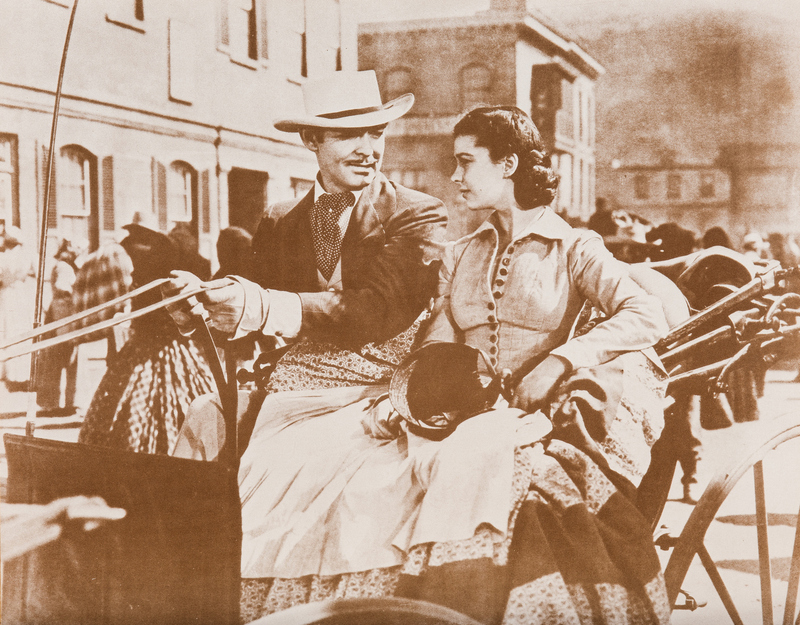 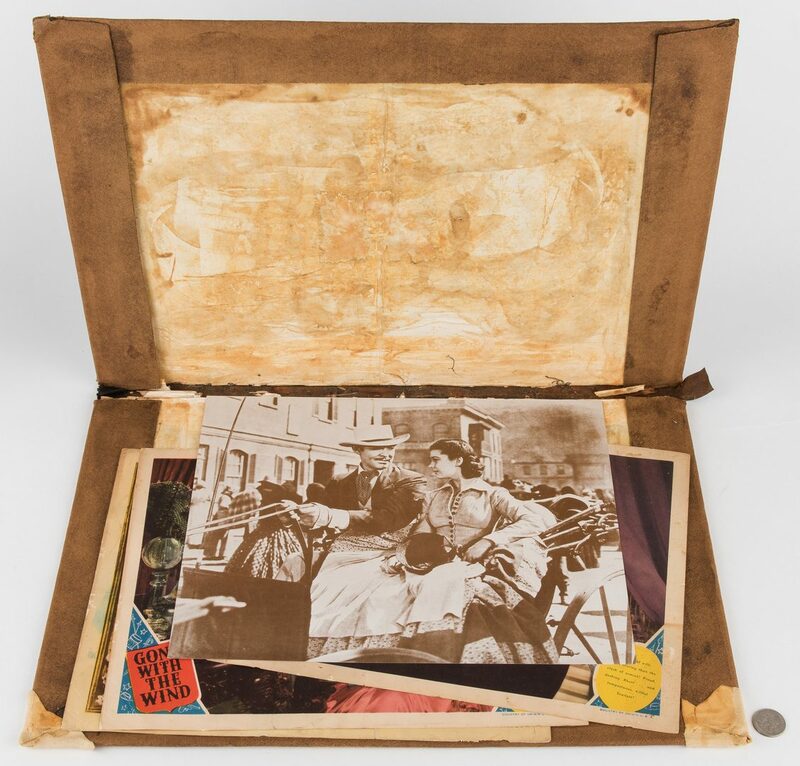 4th item: Modern sepia toned reproduction photograph of Rhett Butler and Scarlett O'Hara in a carriage, prior to the evacuation and burning of Atlanta. All items – 9" x 11". The estate of Dr. Benjamin H. Caldwell, Nashville, TN. 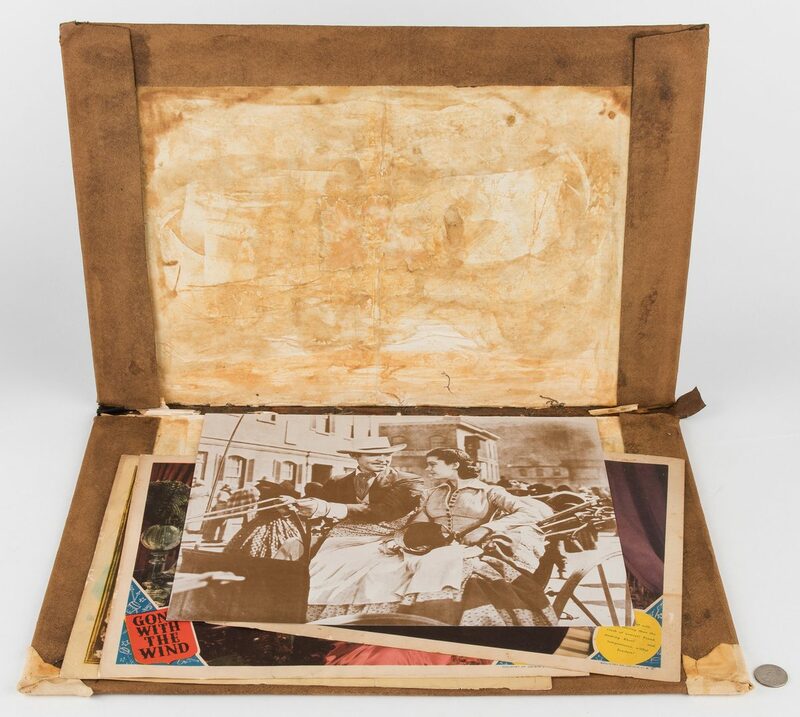 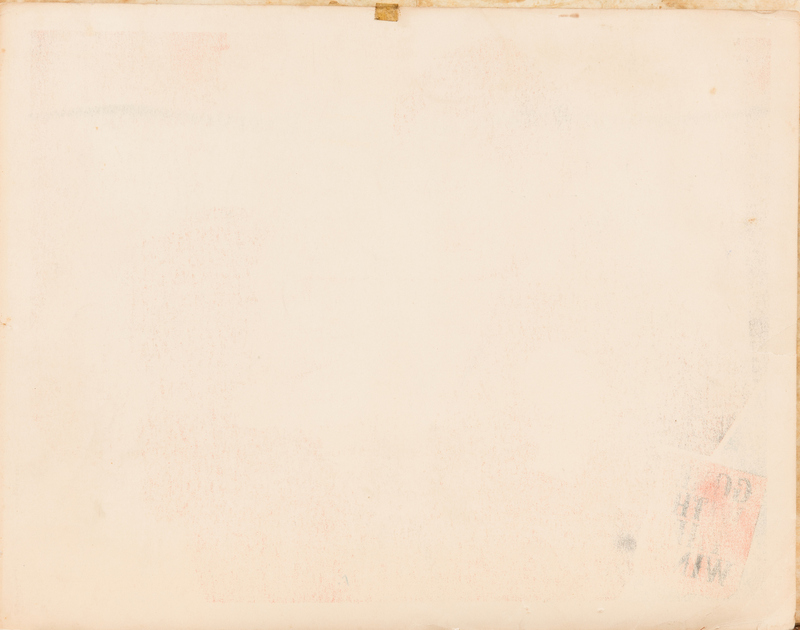 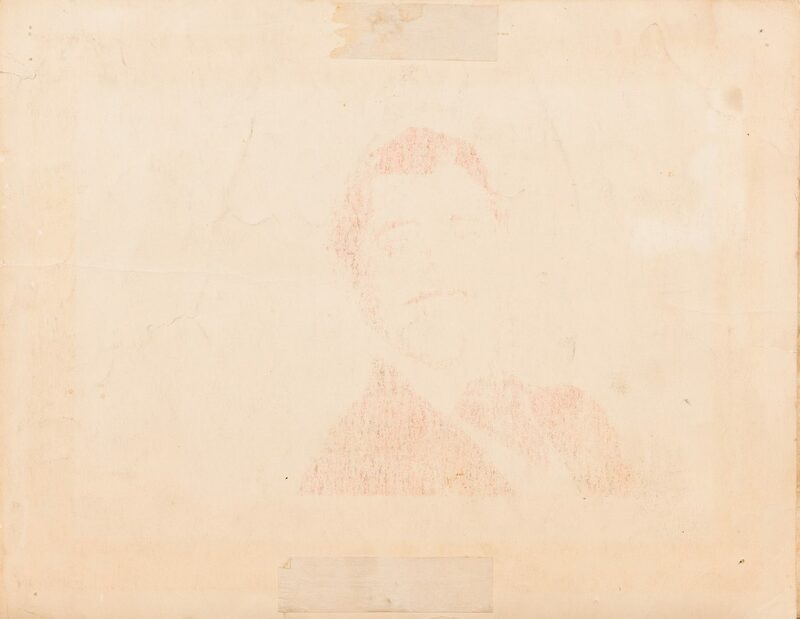 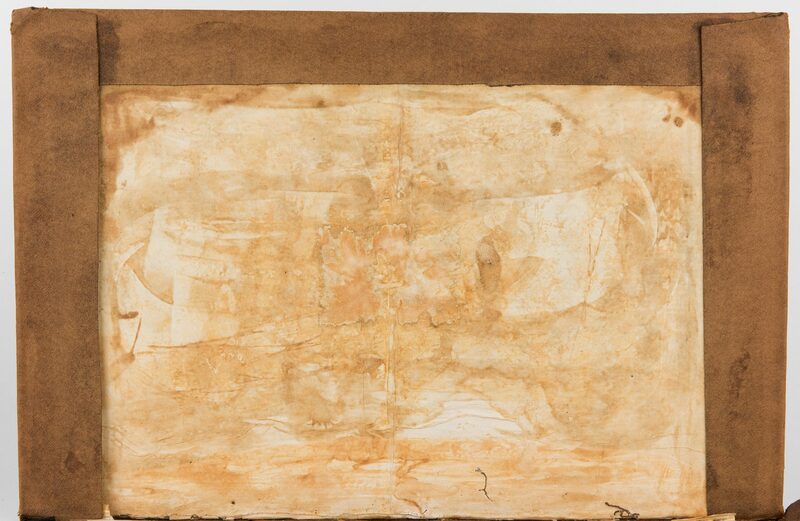 CONDITION: 1st and 2nd items: Both have old tape at top and scattered creases, fold and creases at lower left corner, 7/8" tear at left center margin, foxing upper left corner, scattered light minor staining, toning, and foxing. 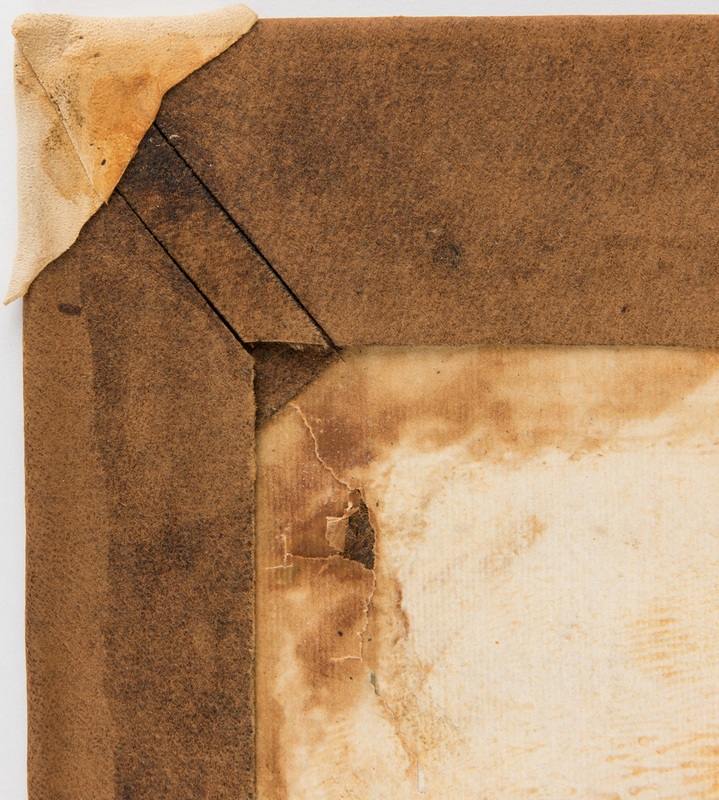 1st item also has 1/4" tear at right margin. 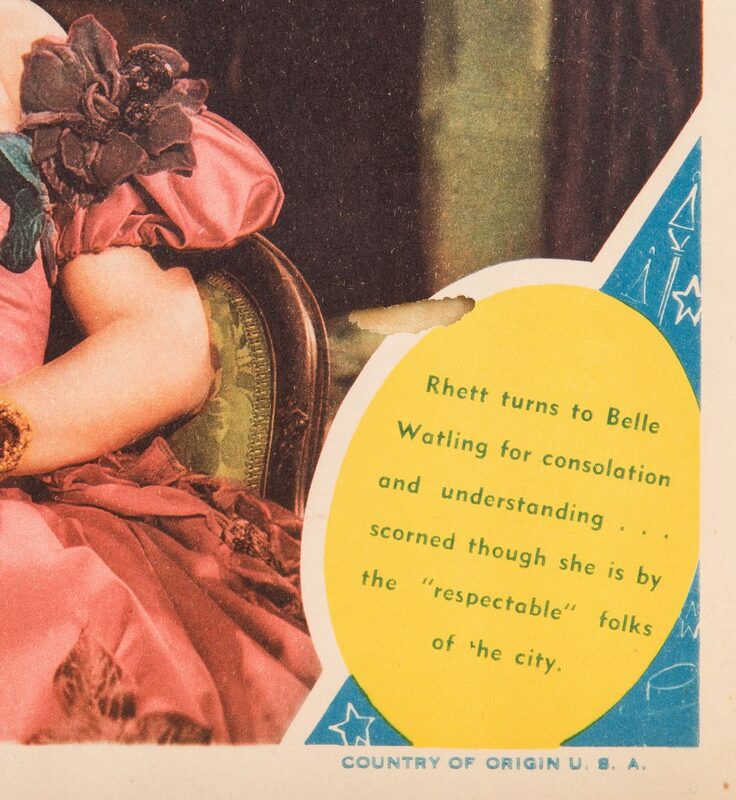 2nd item also has 5/8" hole near Belle Watling's elbow. 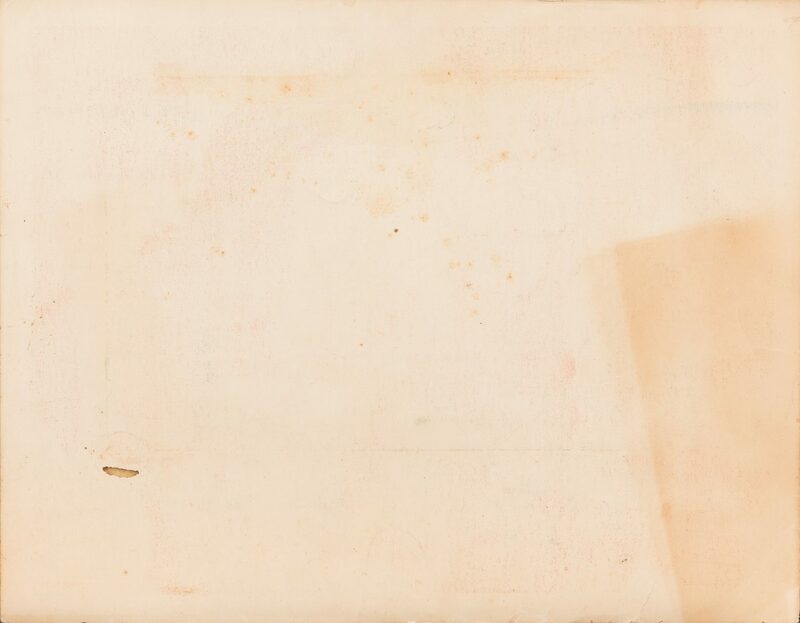 3rd item: Staining upper left corner, creases lower left corner, 1/2" repaired tears lower center and upper center, pin holes, scattered staining. 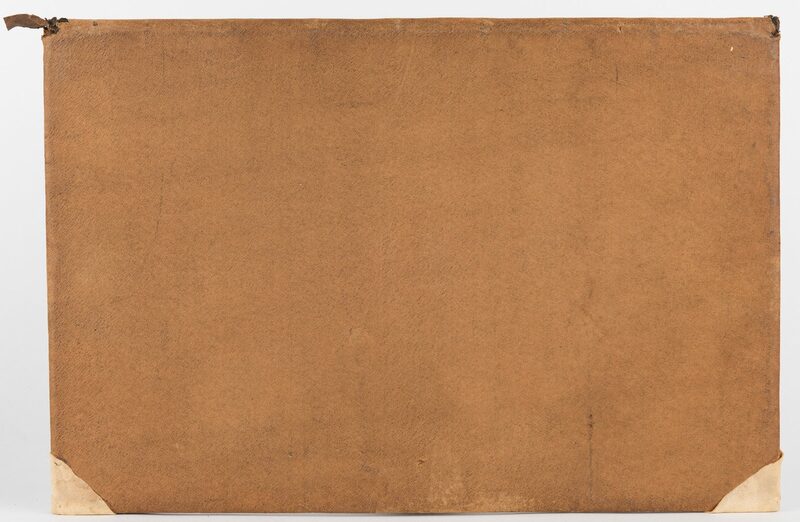 4th item: Overall excellent condition.